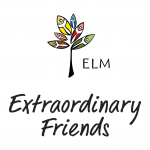 There are many ways to give to Extraordinary Lutheran Ministries! Become an Extraordinary Friend to show your ongoing commitment to this ministry and provide support to LGBTQIA+ leaders and ministries throughout the year. You can also call Executive Director Rev. Amanda Gerken-Nelson to discuss a gift. Amanda’s number is 312-465-1562.